OTTAWA – Canadians will not know the cost of the federal government’s proposed financial backing of the Kinder Morgan pipeline until after talks conclude, says Infrastructure Minister Amarjeet Sohi. Throughout the week, federal ministers have cited the ongoing talks and desire to not negotiate in public as to why they could not wade into how much the offer of financial security for the cross-provincial project could cost taxpayers. In an interview with Evan Solomon, host of CTV's Question Period, Sohi said: "Canadians will know once those discussions are concluded, it will be a transparent, open discussion around indemnification the government will provide to Kinder Morgan." The federal government is continuing talks with Kinder Morgan, the developers of the Trans Mountain project, after the Texas-based company put the project on pause, demanding reassurance by May 31 that it can go ahead despite B.C. opposition. Sohi wouldn't say whether or not the federal government has a specific buyer in mind, should Kinder Morgan back out. 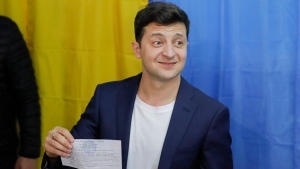 "In due process, once those discussions are concluded, it will be made public whatever arrangement is made, or whoever the investors are," he said. Former Manitoba premier and past Canadian ambassador to the United States Gary Doer said that for Canada, the issue is now bigger than the $7.4-billion pipeline that would move oil from Edmonton, Alta. to Burnaby, B.C. "This is bigger than a pipeline now for Canada. This is much bigger. This is a tipping point. Are we a can-do country or are we a can’t do country?" Doer said on CTV’s Question Period. His argument echoed comments from Conservative Alberta MP Matt Jeneroux, who said the government was failing at increasing investor confidence in Canada. He criticized the Liberals for not pushing for the pipeline until after Kinder Morgan put things on pause, saying that B.C. government under NDP Premier John Horgan has been talking about its opposition to the pipeline since before the 2017 election. "We heard nothing from the prime minister," Jeneroux said on CTV’s Question Period. NDP B.C. MP and Vancouver mayoral hopeful Kennedy Stewart classified the latest move from the federal government as "damage control." "It just makes me think they are in damage control, they’re trying to figure out who to blame when the company pulls out at the end of this month," Stewart said on CTV’s Question Period. Citing "growing" opposition, the ongoing court cases, and the fact that the National Energy Board is still waiting for Kinder Morgan to meet all its approval conditions, Stewart said he's confident "this pipeline is going down." "This pipeline I think was dead a long time ago... the government has woken up to that fact and now they’re running for cover, and my thought here is that the emperor has no clothes, this thing is not going to go ahead," Stewart said. After an emergency meeting with the feuding British Columbia and Alberta premiers last month, Trudeau pledged legislative measures that have yet to be tabled, in addition to financial and legal avenues that the government is now going down. Sohi said he is very confident the courts will rule in their favour, but "at the same time we are exploring other options that are available to the federal government to move this project." 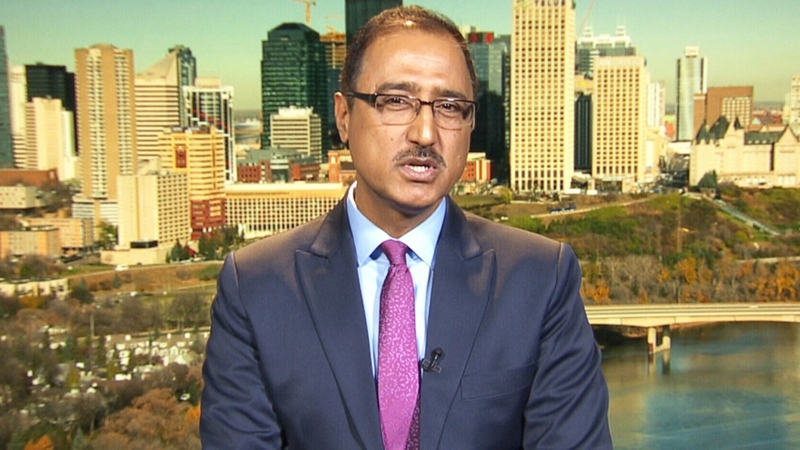 Infrastructure Minister Amarjeet Sohi on CTV's Question Period.